Under the leadership of Director Dale Franzen and Artistic Chair Dustin Hoffman, The Eli and Edythe Broad Stage at the Santa Monica College Performing Arts Center opened its doors in Santa Monica in October 2008. 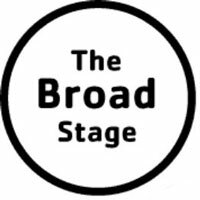 Inspired by Italian "horseshoe" theaters, yet conceived in an absolutely contemporary vernacular, The Broad Stage is an artist’s dream and an audience’s delight. Unlike any performance space in the country, it is sublimely intimate with 499-seats and strikingly grand at the same time – allowing eye contact with artists from the boxes to the back row –forging a new kind of artist and audience experience in Los Angeles. Theater, dance, film, operas, musicals, symphony and chamber orchestras will be presented on one of the city’s largest proscenium stages.